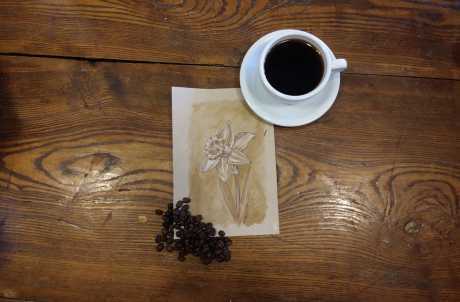 Come paint with coffee! Artist Kelly Jackson will walk you step by step through this painting done entirely with coffee! Coffee, scones, and supplies provided for $20 - just come ready to tap into your creative coffee-loving side! Call or visit Hardware Cafe to reserve your spot.